A new imaging technique for measuring blood flow in the heart and vessels can diagnose a common congenital heart abnormality, bicuspid aortic valve, and may lead to better prediction of complications. A Northwestern Medicine team reported the finding in the journal Circulation. 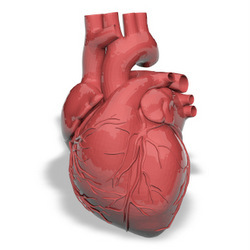 In the study, the authors demonstrated for the first time a previously unknown relationship between heart valve abnormalities, blood flow changes in the heart and aortic disease. They showed that blood flow changes were driven by specific types of abnormal aortic valves, and they were able to directly associate blood flow patterns with aortic diseases. Bicuspid aortic valve is a heart condition in which the aortic valve only has two leaflets, instead of the normal three. It affects approximately one to two of every 100 Americans and is the most common congenital cardiovascular abnormality. Despite the absence of symptoms, the condition can lead to significant and potentially life-threatening complications, including enlargement of the blood vessel (aneurysm) and rupture. However, it is not known which patients are at the highest risk for complications and whether the condition’s origin is genetic or related to changes in blood flow. The 4D flow MRI (magnetic resonance imaging) used in the study has the potential for better predictive ability. Markl’s team was surprised to see such a clear distinction between individual expressions of aortic complications for different types of congenital valve disease. While the current findings show evidence of this link, long-term observational studies are needed to better understand the potential of 4D flow MRI to improve disease prediction ability. A longitudinal follow-up study in patients with bicuspid aortic valves is currently underway at Feinberg. “Ultimately, we hope that this imaging technique will facilitate early identification of high-risk blood flow patterns associated with progressive aortic enlargement, improving the allocation of healthcare resources in caring for patients with this prevalent condition,” Markl said. This research was supported by the National Heart, Lung and Blood Institute of the National Institutes of Health (NIH), grant R01HL115828, and by Northwestern University Clinical and Translational Sciences Institute NIH grant UL1RR025741. The research also was supported by the Northwestern Memorial Foundation Dixon Translational Research Grants Initiative, American Heart Association Scientist Development Grant and the Northwestern Bicuspid Aortic Valve Program at the Bluhm Cardiovascular Institute.